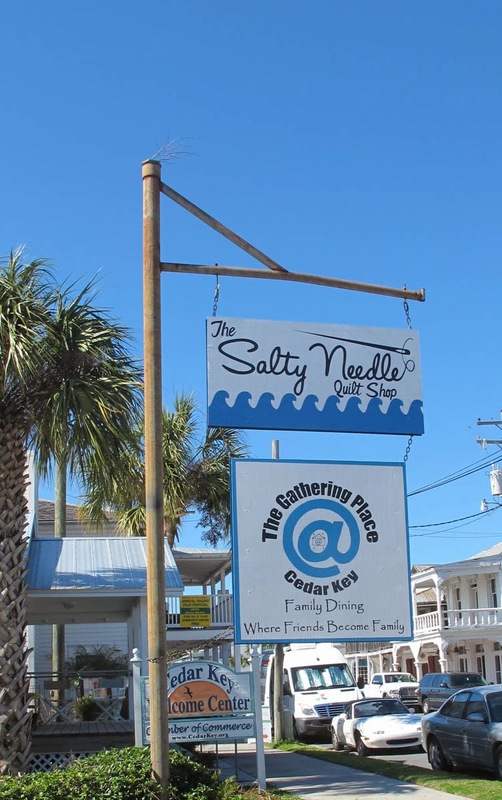 Located in the center of the quaint gulfside village of Cedar Key, FL, The Salty Needle Quilt Shop is indeed a little gem. 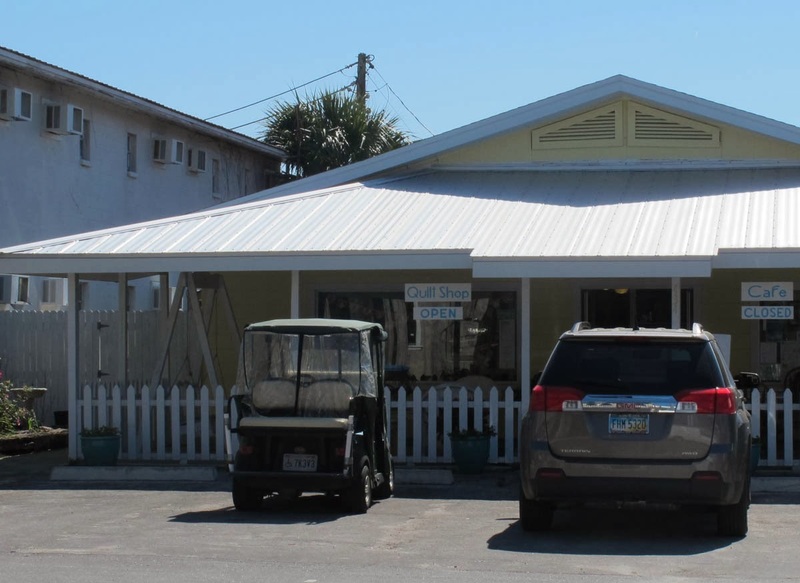 The shop sports a shady front porch decked out with comfy sitting for the hubbies and there is an adjacent cafe for lunch or refreshments. 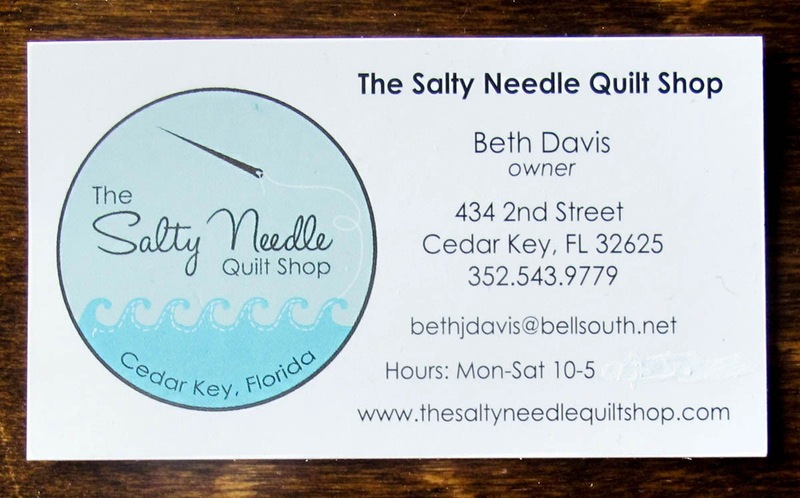 Beth Davis, the delightful shop owner, currently stocks around 800 bolts. 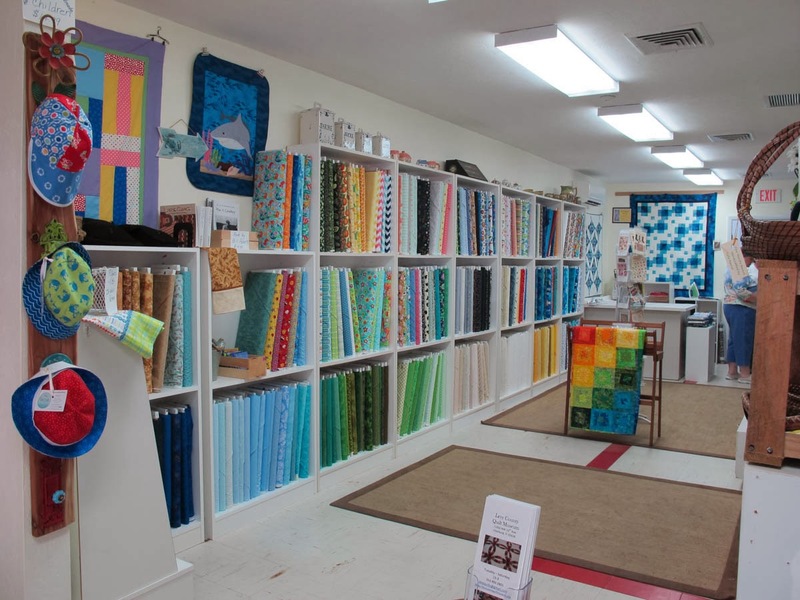 She plans an increase to around 1200 bolts but stays so busy she hasn't had time to build more shelves! 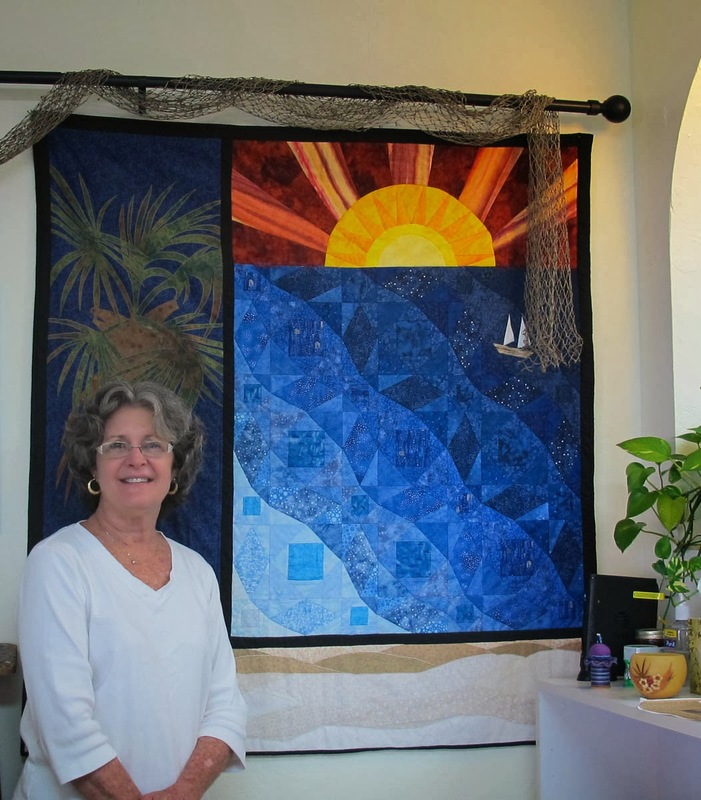 Her fabric choices reflect the bright and sunny surroundings of coastal Florida and she offers classes and a monthly sew-in day. There were a number of unusual giftable items as well. 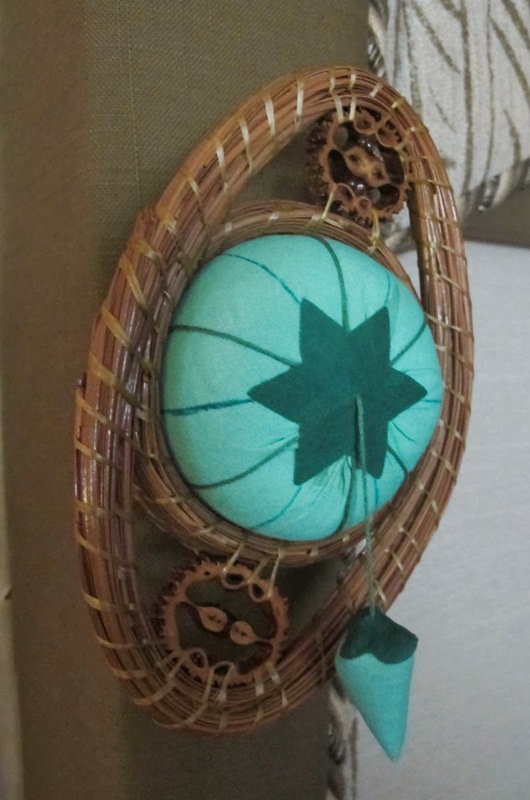 I purchased the pine needle basket pin cushion for my RV sewing area. 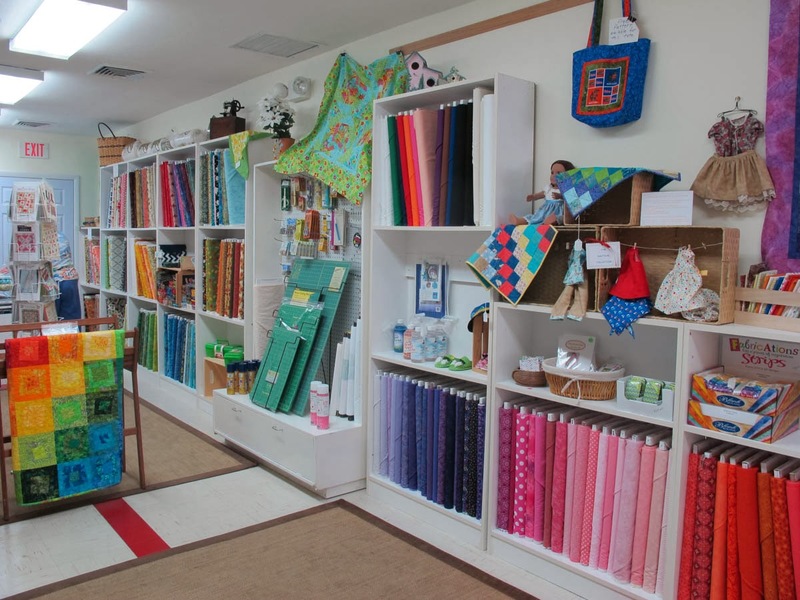 The baskets are made by a friend of Beth's. one to ask!) but alas none was available. 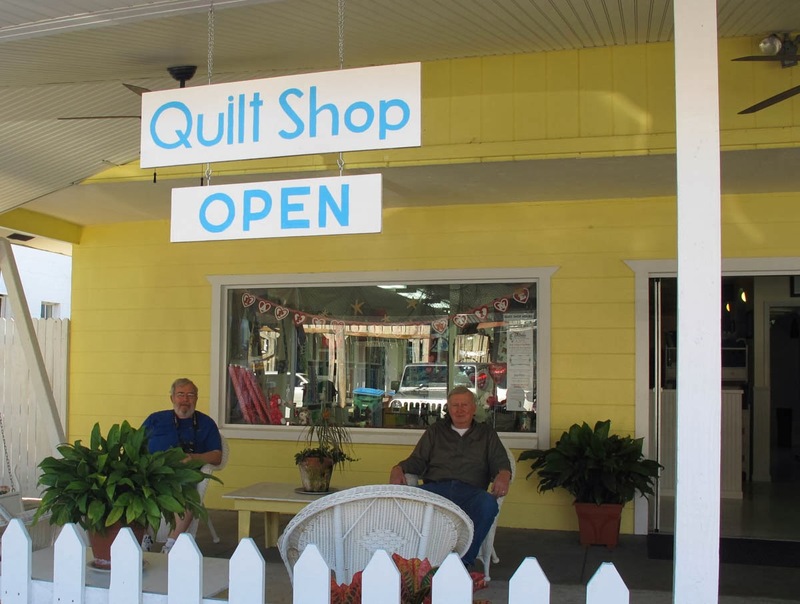 If you're down Florida way, Cedar Key and its little gem of a quilt shop shouldn't be missed.